Thanks to all the yogis who joined us during September for our latest challenge. Mixing it up with different class styles was the perfect way to celebrate National Yoga Month! 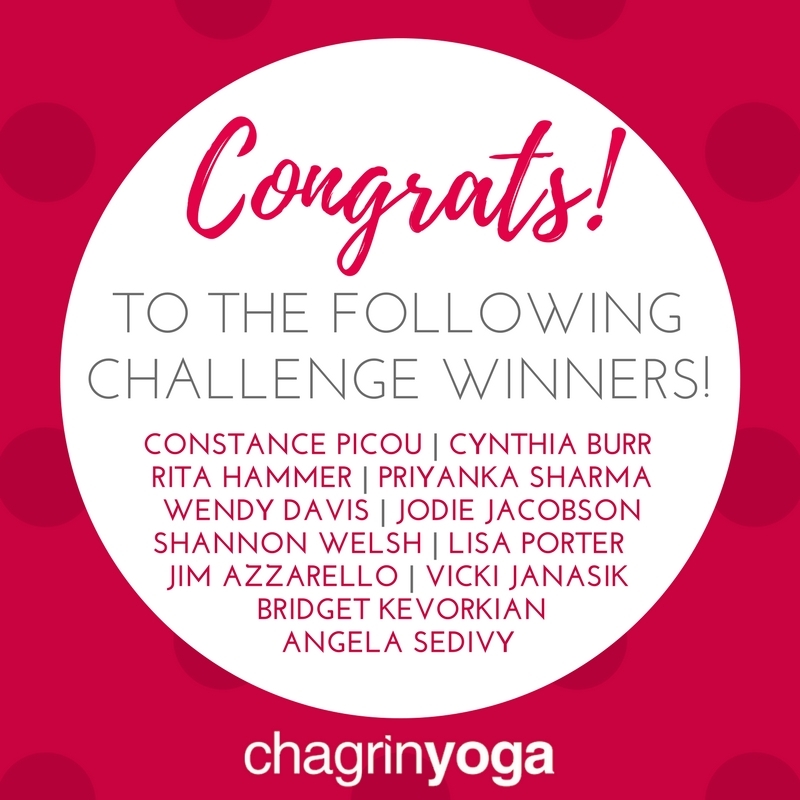 Congratulations to the following yogis who finished the challenge by taking TEN or more different class styles during September. We have a great challenge mug prize for each of you, but unfortunately our mug supplier is located in Miami and was left without power for several days after Hurricane Irma came through. The mugs will be delivered on or around October 10th and we will notify you all when you can stop in and pick yours up at the front desk. Thank you for your patience and CONGRATULATIONS again!